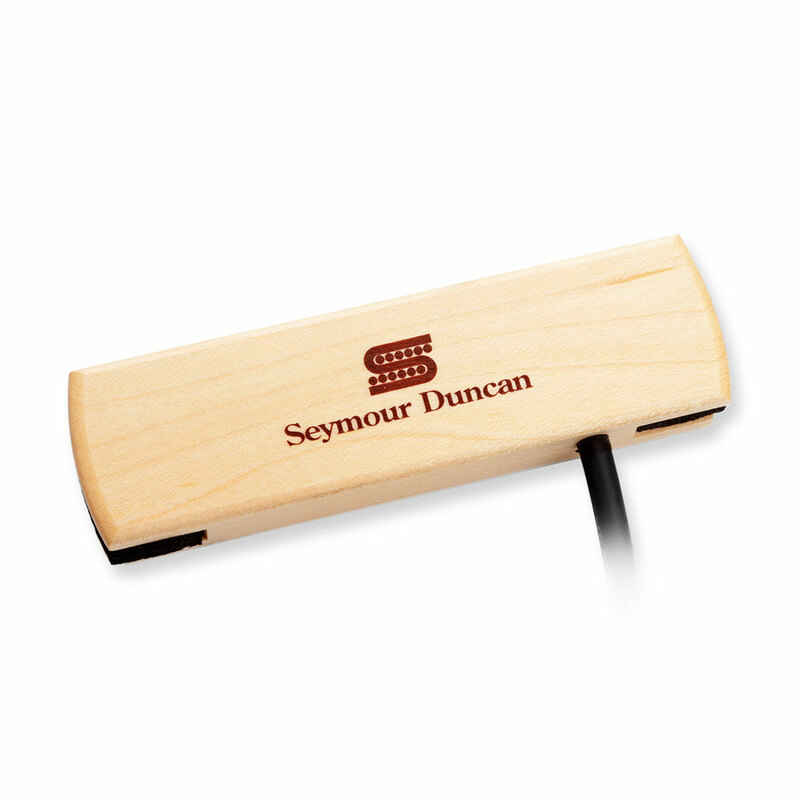 The Seymour Duncan Woody Single Coil is a passive, magnetic soundhole pickup that delivers a bright, clear acoustic tone that is great for both energetic strumming and delicate fingerstyle playing and its single coil design means that you get more chime and top end brilliance. They are double potted to keep them resistant to feedback and mounts instantly into your soundhole with no modification of any kind needed to the guitar and can easily be removed when required. It comes with a 14 foot low capacitance, studio quality cable that will plug directly into your amp, PA, direct box or console and fits standard soundholes 3.75" to 4" (95 mm to 102 mm). Great for all standard types of steel string acoustic guitars (please note this is a magnetic pickup and will not work with nylon stringed instruments). Comes with studio quality cable to plug directly in to amp/PA etc.